As such, they will have an emphasis largely – though not exclusively – on programmes at Levels 6 (higher and advance certificates) up to Level 8 (honours bachelor degree) on the National Framework of Qualifications, and on industry focused research. TUs will also play a pivotal role in facilitating student access and progression particularly through their relationships with the further education and training sector. I very much welcome this aspect because in my view if the student is not at the heart of any HEI, then we are failing in our duty and mission as educators and legislators for the best education possible”. Minister Mitchell O’Connor noted “This is the first TU to be established in the history of the State. 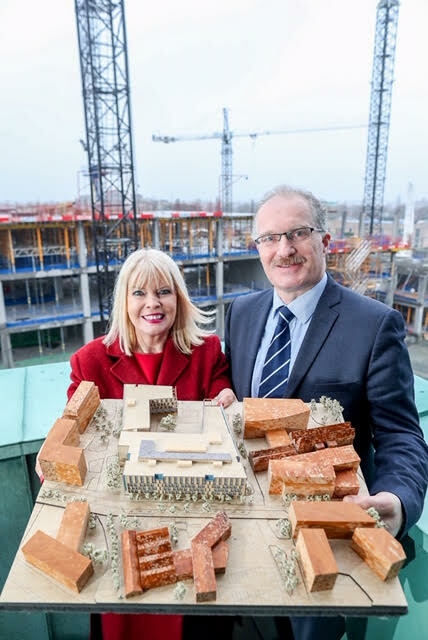 However, it did not emerge fully formed but is building on some 175 years of proud higher educational history between Dublin Institute of Technology and the Institutes of Technology Blanchardstown and Tallaght. This milestone new unitary institution, the largest now in the State, spread across three main campuses and with a “virtual” campus, comprising some 28,000 students and over 3,000 staff, will, I am sure, build up and record an equal history of service excellence to its students and hopefully over a similar time period and beyond”.